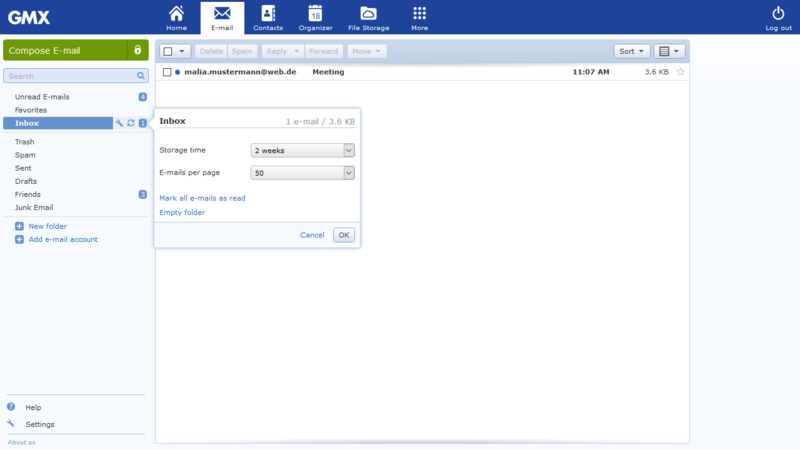 The storage time defines the duration, how long e-mails are stored in each folder. You can edit the storage time with a few clicks. Move your mouse over the appropriate folder and click the wrench icon.